Molly and Miri Gill are twins. They look the same, act the same, sometimes even think the same. But they weren't always twins. . . . Molly used to live in 1935, until Miri traveled back in time to save her from the clutches of Molly's evil adoptive family. Only they know about the magic, and its power to set things right. So when home repairs unleash more unexpected magic from their very special . . . very magical old house, the girls set off on another time-traveling adventure to the Civil War where they race against the clock to save two unusual soldiers and come to terms with the truth about Molly's real past. 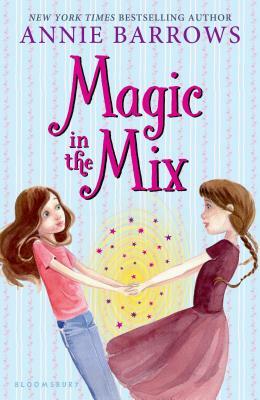 Brimming with lovable characters and spine-tingling magic, this long-awaited sequel will bring a whole new batch of readers to Annie Barrows' highly acclaimed, wonderfully popular world of twin-inspired magic. Annie Barrows was an editor at Chronicle Books before becoming a full time writer. She has written several adult titles including the New York Times bestseller The Guernsey Literary and Potato Peel Pie Society, as well as the highly acclaimed children's series Ivy and Bean and The Magic Half. Annie lives in Northern California with her husband and two daughters.